The Hamid's vacuumed a thick layer of dust off the floppy disks before making their discovery. 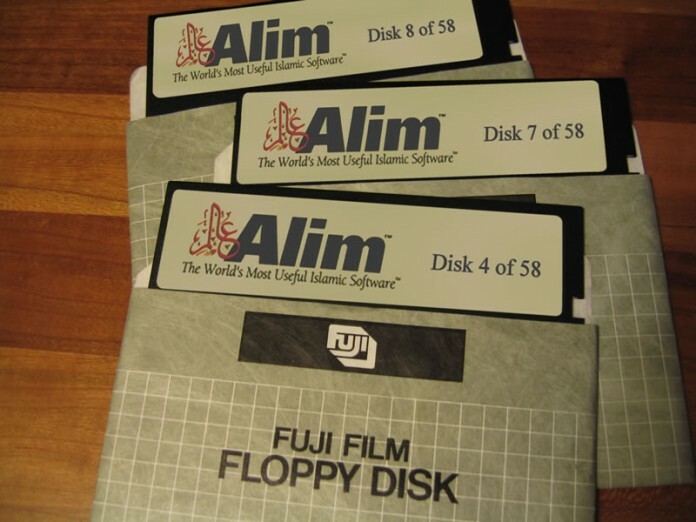 BRAINTREE, MA — While performing a late spring cleaning last week, 48-Year Old Marouf Hamid discovered a set of 58 floppy disks containing an ancient, DOS-based Quran entitled “The Alim 1.0.” The set was untouched in the Hamid attic for over two decades with the family unaware of its significance. The family took the set to a local library computer lab for observation. Amazingly due to a lack of public funding, the library had a functioning IBM PS/1 personal computer with a 5.25″ floppy drive. After electrocuting three volunteers attempting to turn on the machine, the PC finally booted and a small crowd anxiously awaited while hearing the grinding noise from the floppy drive. “I guess the standard was pretty low back then,” stated Hamid. According to experts, the Arabic text in the 1995 software appears to be identical to modern printings of the Quran.